The purpose of the National Fall Prevention Stand-Down is to raise awareness of preventing fall hazards in construction. 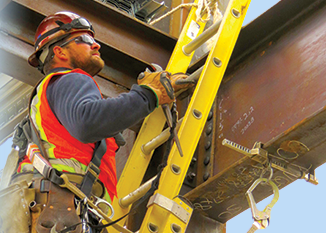 Fatalities caused by falls from elevation continue to be a leading cause of death for construction workers, accounting for 337 of the 874 construction fatalities recorded in 2014 (BLS preliminary data). Those deaths were preventable. Fall prevention safety standards were among the top 10 most frequently cited OSHA standards, during fiscal year 2014. Learn more at the OSHA Stand-Down website.